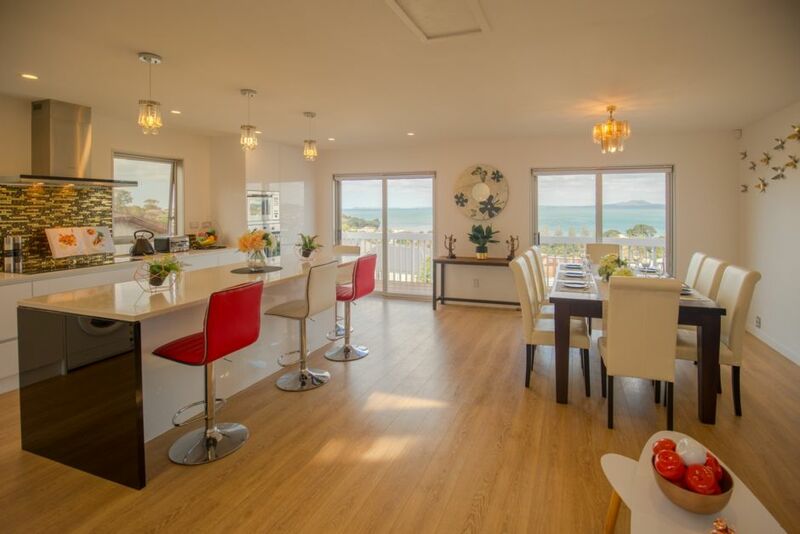 The beautiful fully furnished home is ideal for families and friends to relax and enjoy. The home includes a private terrace with panoramic sea view to relax, 2 stylish sea view large bedrooms, full function brand new kitchen, a warm living room and dining area. And each individual glance, you can enjoy the sea view. All areas are connecting to the panoramic sea view Terrance. Free and unlimited WIFI is prepared for you. Walk to Browns Bay Beach, guests can easily access supermarkets, restaurants, playground, library, leisure centre, beautiful beach, everything that beautiful Browns Bay has to offer. No Party or events allowed. There's only one car park space, if you have more than 1 car, you might need park them on the street. Really nice place, great location. Was a really nice place. Very nice location in Brown's Bay. Great views! Was a little small for our family of 2 adults and 4 kids. Could have done with some more towels, etc. and the fold-out bed on the couch wasn't really usable as it was like sleeping on wire. Despite that though, we loved our stay here. Awesome location and even with crappy weather the views were beautiful. Awesome location and even with crappy weather the views were beautiful. Nice and close to everything we needed.